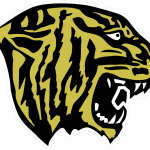 The tiger grapplers were faced with two tough AAA opponents, but continued their early season success by remaining undefeated. Big performances from some of the scrappy newcomers helped defeat Hopkins 37-31 and Chaska/Chanhassen 40-33. Boys Varsity Wrestling · Dec 7 Wrestlers Off To 3-0 Start! Fridley Wrestling is off to a 3-0 start in dual meets this season with wins over Robbinsdale Cooper, Norwood Young America, and Spectrum. The tiger grapplers also had a strong showing in our own individual tournament, placing 3rd/13 in the team points.